I have some exciting news for you all today! I finally got around to uploading my new blog format! I did it in my favorite colors and I am super happy with how it came out. I hope you all enjoy the new graphics and colors and I'll definitely be adding to it in the future to make it more user friendly. I have some new buttons I want to add and I'm hoping to get a tagging system up and working so it is easier to find the manicures and colors you are looking for. One other addition to the blog is the Downloads tab, which for now has 5 nail art templates available for you to download and print out. I use them for planning out my nail art and after posting the template on Instagram the other night, it became clear that other people wanted them to. Ask and you shall receive! Now on to what you're all really here for (haha) the Nail Art! Since I revamped the blog with new colors and we said goodbye to the old, I thought this mani would be appropriate. I found these photos in a folder of unposted nail art. These photos are a bit old, back from when I started blogging, but the colors just happen to match the new blog layout! Talk about old meeting new. So here we are, the blog colors gradient art! Please excuse the lower quality of these photos, I didn't quite know what I was doing yet! 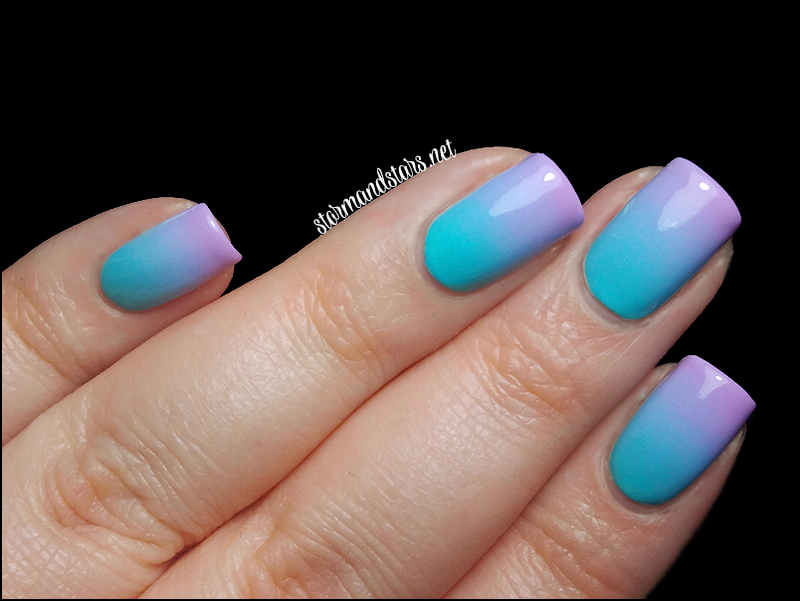 Although it looks like only two here, I actually used three polish colors for this gradient. For the Aqua, I used Orly Frisky. The purple at the tips is Lime Crime Lavendairy. And sandwiched between the two is just a little bit of Essie Bikini So Teeny. So I hope you like the new blog layout and graphics and I hope you like my throwback-throwforward mani to go with it! What are your favorite colors to use for a gradient? Give me some ideas for my next one! 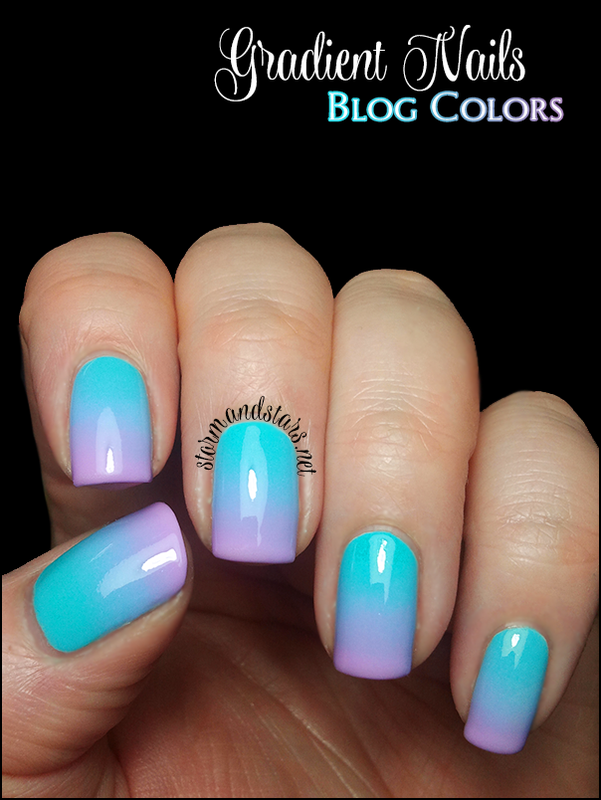 Gorgeous gradient!! Love the color combo! Pretty blog layout too ;0). this is such beautiful gradient! i absolutely love this mani! 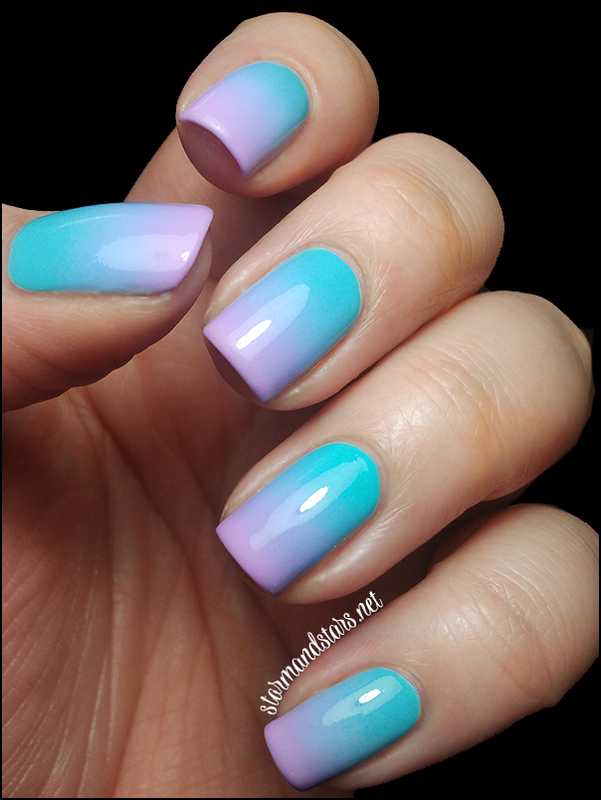 Wow, this is one gorgeous gradient! Lovely! Thankies Val! That means an awful lot! Very pretty! Loving the new look too!